2-stage pumping system ensures optimum extraction. The 2 phases can be selected individually. With network or batteries. Silent. New: Very soft silicone pad with texture and massage new shape that fits perfectly to the chest. Intelligent tilt sensor that disconnects the pump at <70º, horizontally or upside down. Comfortable handling with one hand and optimum grip. It regulates the suction intensity. Easy assembly and easy cleaning. In addition, its compact and quiet design makes it a practical and discreet solution. Thanks to its anatomically shaped silicone mouthpiece, it fits perfectly to your chest. 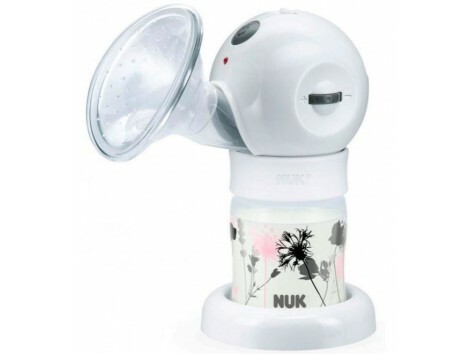 It also allows you to manually adjust the suction intensity. In addition, the dual-phase Dualogic technology automatically switches from the stimulation phase (rapid suction rhythm) to the extraction stage (slow and intense rhythm). 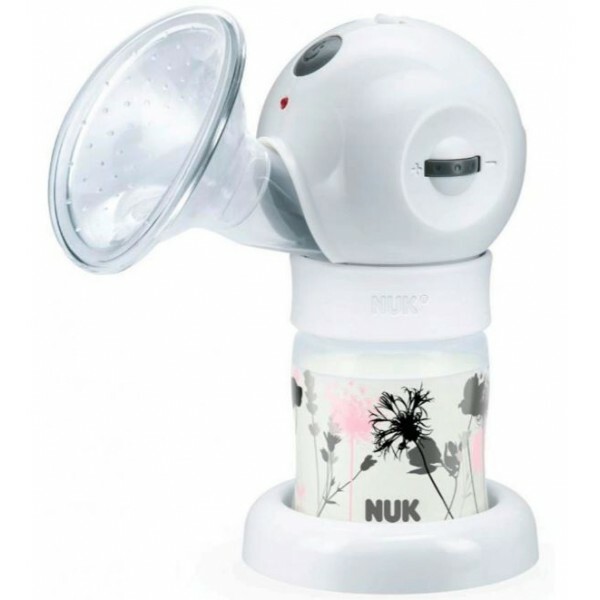 The Nuk Luna electric breast pump is very easy to assemble, use and clean. It can be connected to the mains or with batteries for greater mobility. With network or batteries. Silent.